We have a mission. A mission to break down the stigma associated with reduced functionality through a strong design concept. We want to help everyone maintain an active lifestyle – and look great while doing it. We do this through a novel approach where functionality and aesthetics go hand in hand to form a mobility design that is motivating and innovative. Mobility is at the core of modern life and according to us mobility products should be a tool to keep people moving – in style, of course. Our biggest influence is the long Scandinavian design tradition – and we design, engineer and handcraft all our products right here in the heart of Scandinavia: Denmark. Our lightweight Carbon Ultralight is the perfect companion for adventures around the world, or just around the corner. The dynamic shape and sleek lines are inspired by fast moving animals, sports cars and bicycle design. It is designed to be fast, light and easy to manoeuvre. And we’ve packed it with small details that makes for a smooth and effortless ride. The functional shape and soft, curvy lines are inspired by Danish furniture design and blends seamlessly into your home. 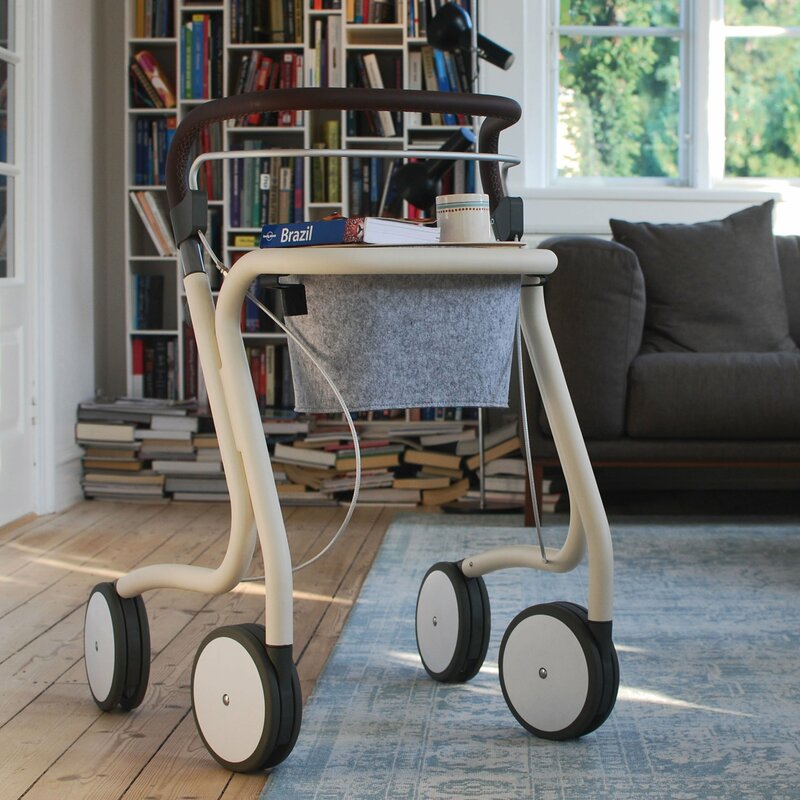 It is designed to provide stability and assistance for all the daily activities around the house. And it comes in four modern and attractive frame colours. Our fresh, strong and sturdy Scandinavian Gardener is your assistant in the garden and around the home. 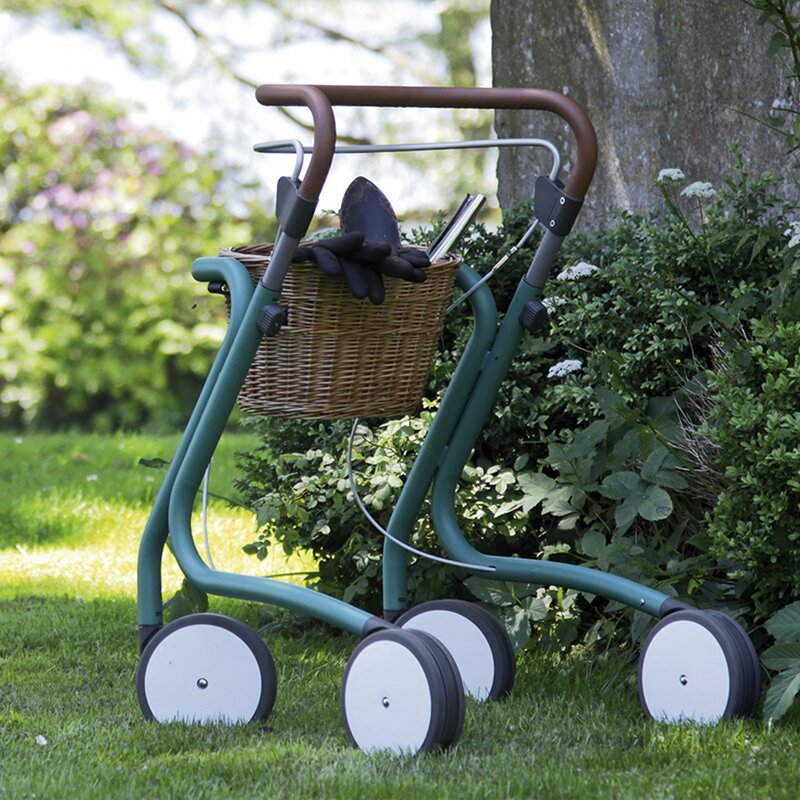 The functional shape combined with a range of accessories ideal for gardening activities makes it the perfect companion for gardening. It is designed to provide stability and an extra set of hands for all garden activities. Comes with accessories ideal for gardening. Our Scandinavian Mist is easy-breezy like a morning mist and a robust and assisting companion for the bathroom. The functional shape allows for close access to the bathroom furniture while blending seamlessly into the environment. It is designed to assist in standing and sitting position and with the shower seat it serves as a bath chair, with the handle as a backrest. In our opinion it is the combination of functionality and aesthetics that make for an excellent design concept – and we really believe that we have made designs where these two go hand in hand. 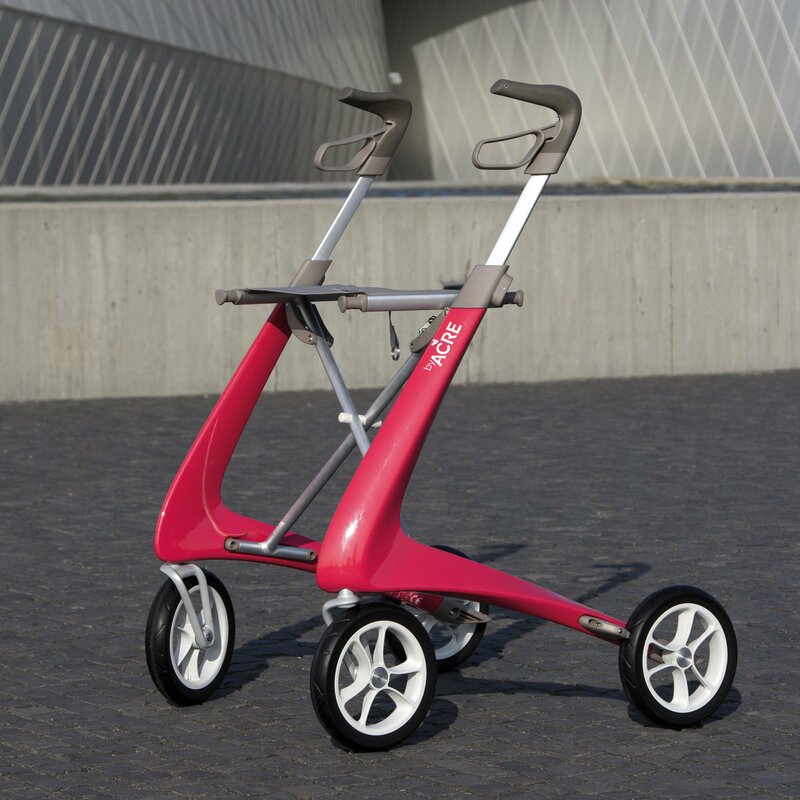 When functionality and aesthetics are combined we are able to produce mobility designs that are motivating and stylish. We never compromise functionality over design and vice versa – because what difference would a mobility design be, if it wasn’t functional? All our designs are designed, engineered and hand built in the heart of Scandinavia: Denmark. We have a dedicated team of people who handbuild all the rollators piece by piece. They have a very varied taste in music, but their sense of quality and craftmanship is a something they all have in common. We find our inspiration for our design concept everywhere. Whether it is in fast moving animals, sports car and bicycle design like with the Carbon Ultralight, or in Scandinavian furniture design, as with the Scandinavian Home Range. Our inspiration originates from a late afternoon in front of a dance studio. Two rollators where standing outside, and our minds started wondering about the owners of the rollators. Limitied by their mobility, but still being mobile by dancing and enjoying life. 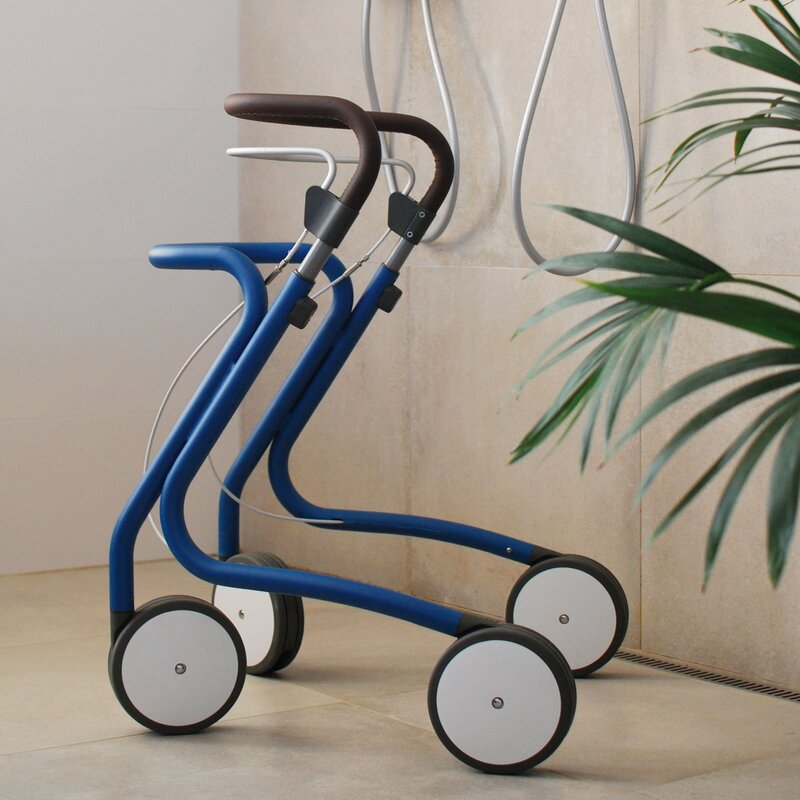 The Scandinavian Home Range – consisting of the Butler, Gardener and Mist rollators have won the iF Design Award and Danish Design Award. Two awards that we are extremely proud of. The awards were given for the functional design and harmonious expression – and for the rollators ability to blend into the home without introducing an institutional feel. The awards prove to us, that mobility design with a strong design concept, that do more than just solve a problem is the way forward. Mobility design should be motivating, stylish and fit the modern life we live today. Furthermore, the Carbon Ultralight came in second place as ‘Product Innovation of the Year’ at Expolife International in 2017. The judges especially appreciated the shock-absorbing wheels and the handles that secure a comfortable ride even on uneven ground.